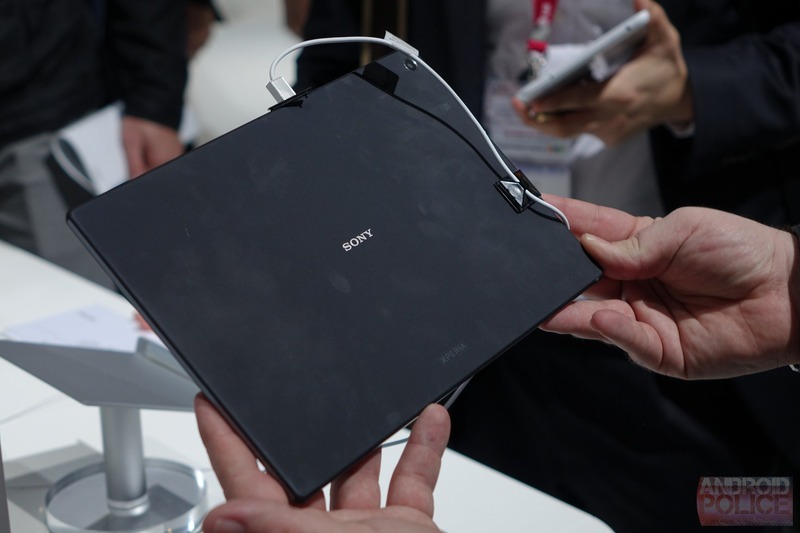 Sony announced its new Xperia Z2 Tablet here at Mobile World Congress, so we swung by their booth on the show floor to get a hands-on with the next tablet flagship. 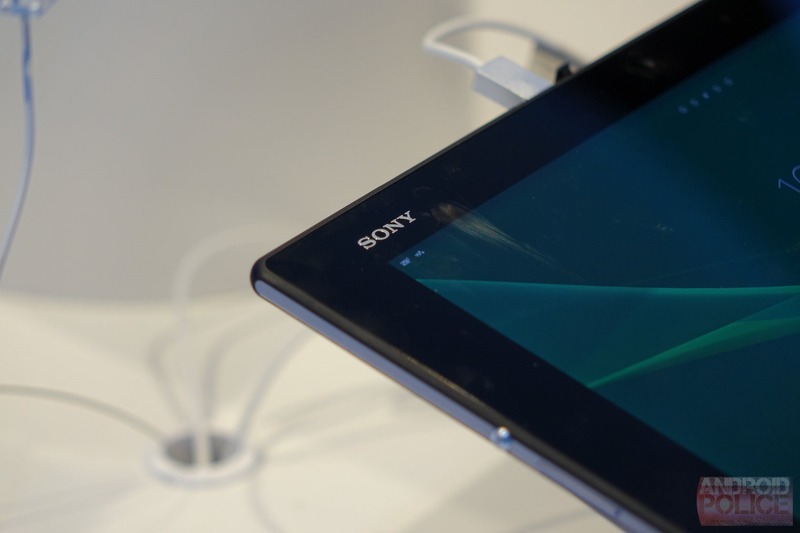 This is the successor to the Tablet Z, now more fully aligned with the leading Sony phone in both name and hardware. 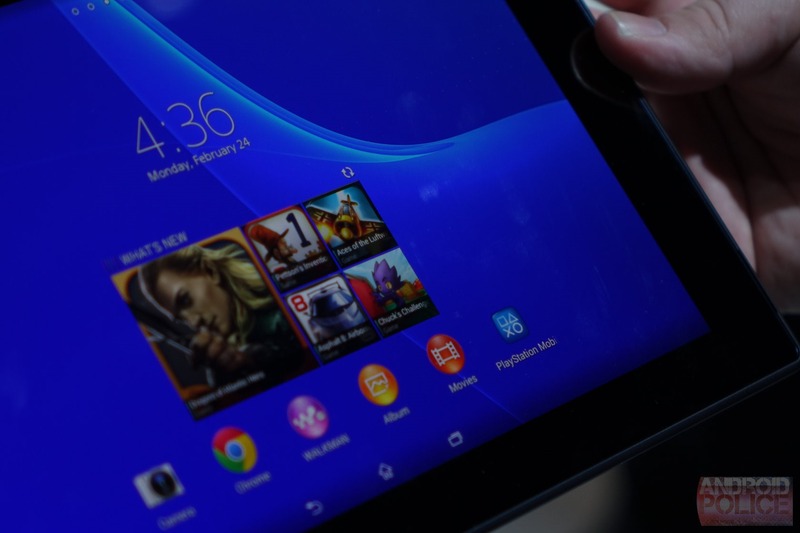 The first thing you notice when you pick up the Z2 Tablet is that it is thin. Crazy thin - 6.4mm, in fact, thinner than the previous tablet, thinner than any phone you're likely to get your hands on in the United States, thinner than the iPad Air by more than a millimeter, and lighter as well at only 425 grams. It doesn't quite have the "almost forget it's in your bag" quality of an e-ink reader, but it's close. It should make extended use sessions considerably more comfortable, no matter what you happen to be doing. The next thing you'll notice is the matte back, which attracts fingerprints instantly (at least on the black version). Aesthetically it's fine, and fits in very well with Sony's angular look, but use this thing for more than ten minutes without a case and it's going to look like you've had it for years. 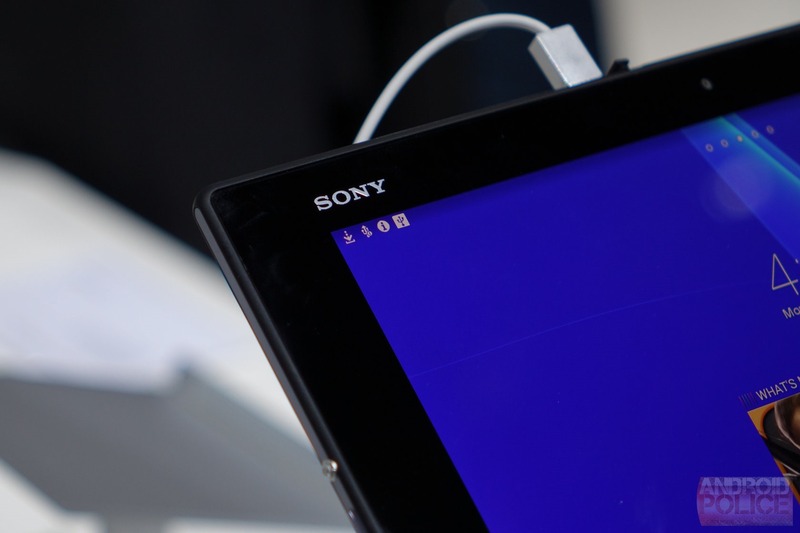 The rest of the tablet is typically Sony - a compliment - with a wide array of features crammed into a mostly nondescript and utilitarian package. These include standard buttons, a MicroSD card slot, and a port for Sony's proprietary docks and cases. The screen is 10.1 inches and 1080p, which is perfectly serviceable, but won't stand up to the latest 10-inch tablets in terms of pure pixel density. That said, the display is still very good, delivering rich colors without the oversaturation of some other tablets. Viewing angles are excellent as well. The front of the device does have some quite large bezels (which no doubt helped contribute to that slinky frame), making the footprint wide and tall for a tablet in this class. Inside, the Z2 Tablet is nothing less than a powerhouse, with the latest Snapdragon 801 processor and 3GB of RAM. 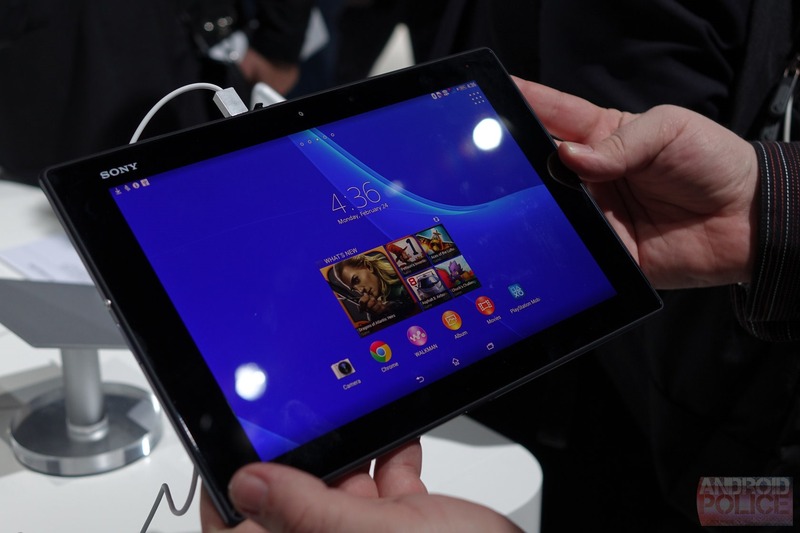 Even so, the tablet seems to stutter just a bit under Android 4.4 and Sony's proprietary UI. That's not uncomon for custom overlays, but I hope they get those small issues worked out before release. 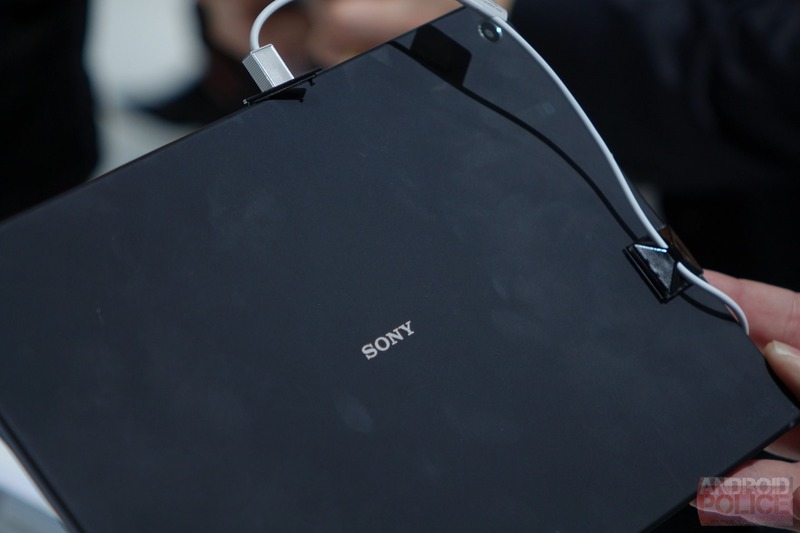 The changes Sony has made to its interface are minimal - if you can't stand anything but AOSP, you'll hate it, but if Sony's software appeals to you, there's nothing here that will make you lose faith. The Z2 Tablet uses an 8MP camera on the back and a 2MP shooter on the front. This is pretty good in the tablet space, but for something that's being marketed as premium I would have loved to see Sony put the 20.7MP sensor from the Z1 and Z2 in there. That's a pipe dream I suppose, but the 6000mAh battery crammed into that super-skinny body is a good reason to forget it. Considering the high-end hardware and the resolution of the screen, it should be an excellent all-day runner, though of course we don't have time to test that here at Mobile World Congress. 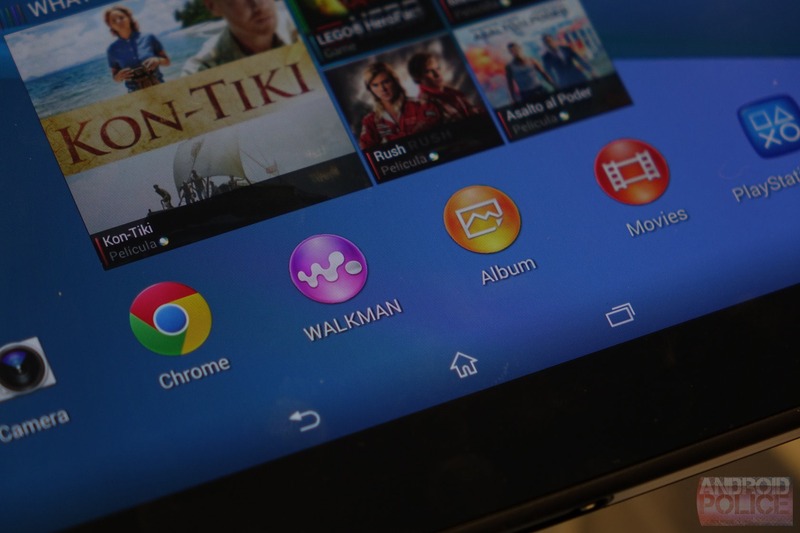 The Xperia Z2 tablet is scheduled to go on sale starting in March in 16GB, 32GB, and 16GB LTE versions. Details on an American release are hard to come by, but based on some early European pricing, I'd expect it to come in at about $450 for the base model.